The NSW Settlement Partnership (NSP) is a consortium of community organisations, led by Settlement Services International, delivering settlement services in agreed areas of NSW under the Department of Social Services’ Settlement Services Programme (SSP). 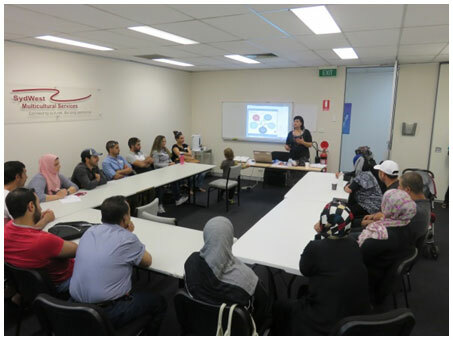 The consortium comprises 22 organisations, including SSI and its 11 member Migrant Resource Centres and multicultural services (including SydWest Multicultural Services), as well as 10 community organisations located around the state. Using the partners’ grassroots experience in their local communities, the NSP’s high-quality, integrated services support self-reliance, equitable participation in Australian society and, as a consequence, promote social cohesion and productive diversity within the Australian community. The Settlement Services Programme (SSP) provides core settlement support for humanitarian entrants and other eligible migrants in their first five years of life in Australia. Visit the NSP website for more information.